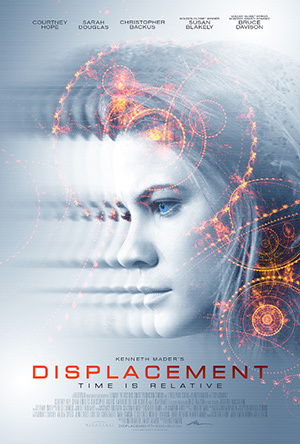 I was excited to watch Displacement; I love time travel films, and judging by the trailer, it had the potential to be a great film: a few recognizable faces and the premise of a mind-bender. It would come down to the script and the director. The film did not disappoint. The pace of the film was perfect: giving pieces of information a bit at a time. At first it was a bit confusing, as it was hard to decipher what time Cassandra was in, but that was the beauty of it. It's one of those smartly written pieces that unfolds at an unhurried pace that allows the time for the viewer to take in the information, as well as generate theories about what is truly going on. The movie didn't have huge flashy effects, but they weren't needed. The story played out brilliantly and had me on the edge of my seat for the film's entirety, and it was directed beautifully as well. As much as it's a science fiction thriller, at the center, the heart of the film is character-driven and about second chances and the consequences of risking everything, even time itself, to have more time with someone you love. The cast was well chosen, and Hope was perfect for the role. Davison was also a standout. The script was clever and complex, as after all, it is about time travel and quantum mechanics, but I felt the film did a pretty good job of making the science relatively understandable without dumbing it down. It definitely keeps you thinking, and I am excited for more people to see the film to be able to discuss it with others. In the end, it was a moving and thought-provoking film that stays with you. The main thought, however, that was running through my head as the credits rolled? I need to watch that again. Displacement is now available in select theaters and on demand.